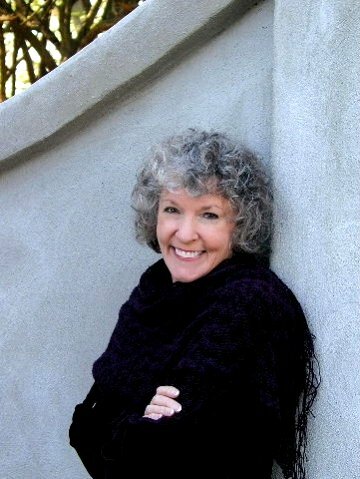 Over the weekend I went to a reception for Sue Grafton, the wildly successful writer of the Alphabet mystery series. Sue is a friend of a friend and she was in town for fun not business. But that didn't stop me and another local writer from seeking her advice. And she was gracious enough to talk career, agents, publishers, promotion and all the other woes us midlisters have. It's a strange thing to talk to a writer who has reached the levels I aspire to. Strange because it lets you see the possibilities right there in flesh and bone (it can be done!) while also reminding you that you are nowhere near those heights and have no idea how to reach them. Also at the same event were two young British men spending their Gap Year between high school and university in town. One of them wants to be an actor, but will return to England to take up the law at Cambridge. When I asked why he wasn't going to drama school he acknowledged that a successful acting career takes luck as much as talent. So he will study law and do as much acting as he can at the same time (evidently there's a lot of opportunities at Cambridge) and see what luck brings him. Looking back, these two encounters form opposite ends of the success see-saw. For all the frustrations I've felt at the way my career has gone (or not gone) and all the things I've tried to do to break out of the midlist doldrums, there is a line beyond which I cannot cross. Or rather, cannot control. I can make sure my title, cover, back cover copy--my "package" as they call it in the industry--looks great. I can make sure the story inside the package is the best I can do. Beyond that is luck, and that, dear reader, is out of my hands. Small comfort, I suppose. But comfort nevertheless. So... here's to Luck. May she shine on all of us aspiring writers, and may the glow of success be your own. It sounds like it was a great evening. Interesting about the student studying law. Let's add to his list of things needed to succeed: perseverance. Good catch, Rae Ann. Yes, perserverance is a vital necessity for success in anything creative.